Situated in Highworth, a market town lying 6 miles north-east of Swindon in the north-east corner of Wiltshire, Highworth Bowls Club, established in 1936, is a mixed lawn bowling club. Our six-rink green is one of the best in the area and our roomy clubhouse and bar offer a friendly welcome and excellent facilities for our bowlers, social members and guests alike. Our bowlers compete in the Bowls Wiltshire and Swindon & District competitions. You don’t have to bowl to be a member of Highworth Bowls Club. Social membership is available, giving access to the bar and all events that take place within the club over the course of a year. Our bar is open throughout the year, see bar opening times. After bowling outdoors throughout spring & summer, the focus of activities switches to indoors, with short mat bowls, crib and league skittles on offer to all members during the autumn & winter months, see What’s On. New members are always welcome. Click here for membership details. With the support of Arkells Brewery, we have a well-stocked bar offering a wide range of draft and bottled beers, wines and spirits. If you’d like to come along to the Club and take a look around then please feel free. During summer you’ll find the club in use most evenings, and weekend afternoons. We have plenty of seating around the green for spectators, and what could be more relaxing on a warm summer’s afternoon than watching a game of bowls? 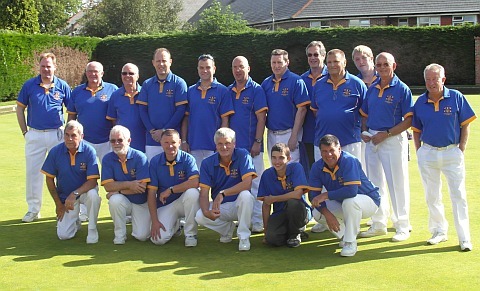 Highworth Bowls Club is affiliated to Bowls England, Bowls Wiltshire and Swindon & District Bowling Association.